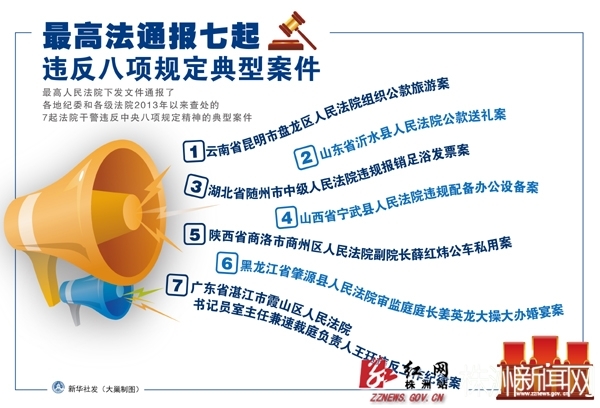 On 15 April, the Supreme People’s Court (Court) issued its latest model (or in this case, (all too typical cases): 7 typical cases of judicial misbehavior. 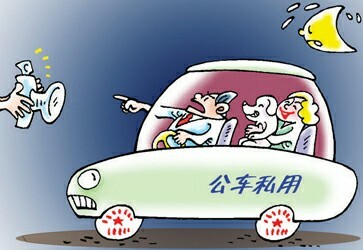 It is part of the name and shame campaign of the Communist Party’s Central Disciplinary Inspection Commission (CDIC), that appears to have started in September of last year, in which the CDIC releases typical cases of official corruption or other abuses, in violation of the Communist Party’s Eight Point Regulations (aimed at curbing official abuses). As reported in a recent Wall Street Journal article, the CDIC has accelerated the release of cases on its website from weekly to monthly. Although cases previously released on the CDIC website have included some cases from the judiciary, this is the first time that the Court has released such cases. The Court issued a document summarizing the cases to the lower courts and to the CDIC (which often takes the lead in investigating judicial misbehavior, because most judicial officials are Communist Party members). Obtaining reimbursement for foot massages (two Hubei Province Intermediate Court Division heads submitted RMB 2500 in foot massage receipts; they and the Deputy Court President who approved the reimbursement were punished). Wasteful procurement of office equipment (a Shanxi District Court spent over RMB 200,000 on office equipment ). Office misbehavior (a Zhanjiang (Guangdong Province) )District Court division head held a meeting with a litigant wearing slippers and was found to be playing a game on his office computer). The cases involved local court judges rather than those in provincial level higher people’s courts or the Court itself. Why were these cases released? It appears likely that the Court released these cases because the CDIC issued a document requiring all government departments and SOEs to provide typical cases (although the document does not appear to have been released publicly) and the Court need to show that it was complying with this document. Other likely reasons would be similar to those for other government officials: scare judicial personnel, especially those in leadership positions, into complying with Party restrictions. As the above graphic shows, it is meant as a bullhorn to those in leadership position in lower courts. The Court leadership realizes that the widespread public impression that judicial officials fiddle the system and do not take their work seriously is a threat to the court system. The typical cases are intended to provide evidence to ordinary people that the government is serious about corruption in the judiciary, and also to encourage people to report abuses. Why these particular seven cases were selected for release is not known. The cases were released for the political reasons, not the substantive reasons discussed in my recent blogpost. This entry was posted in Uncategorized and tagged Central Disciplinary Inspection Commission, name and shame, Supreme People's Court, typical cases.